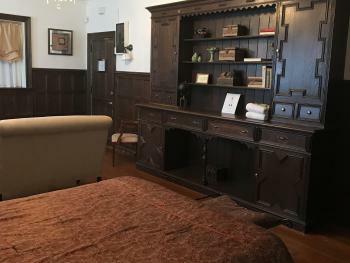 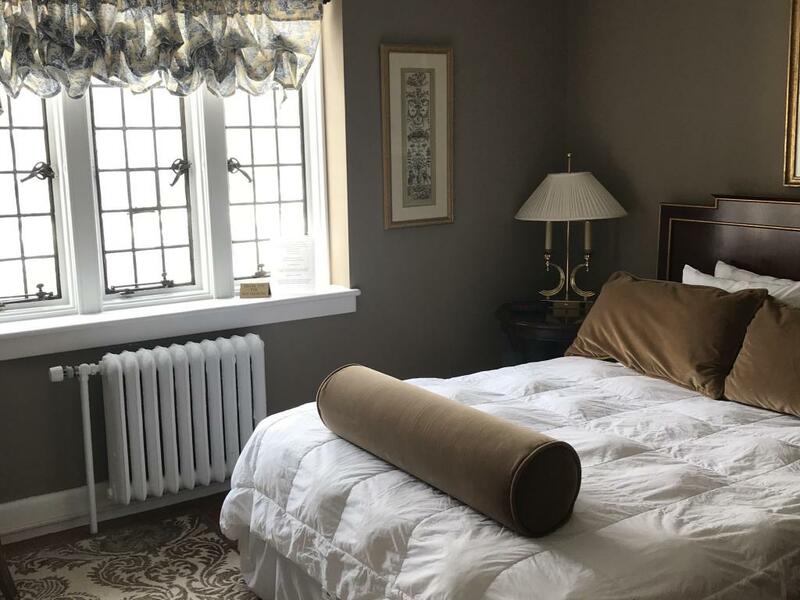 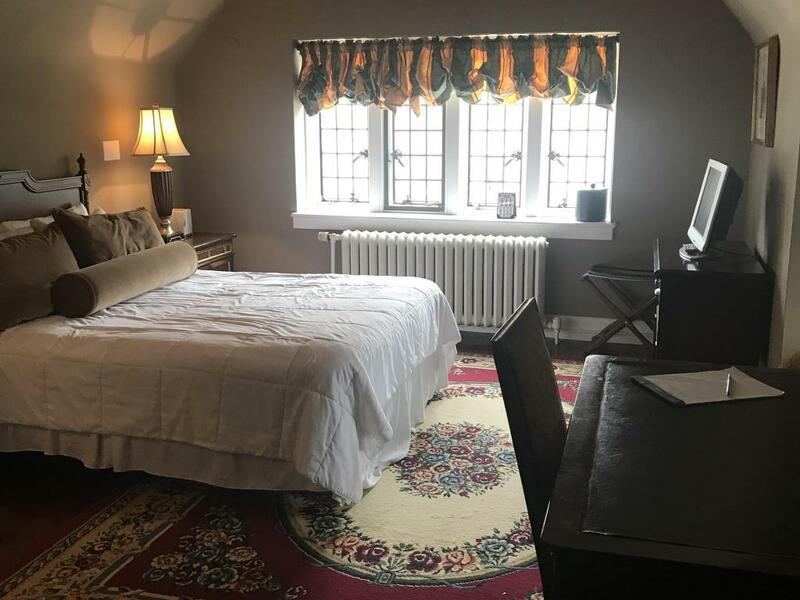 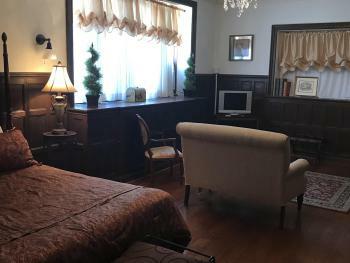 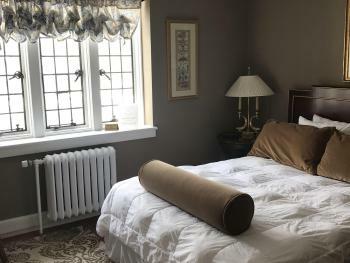 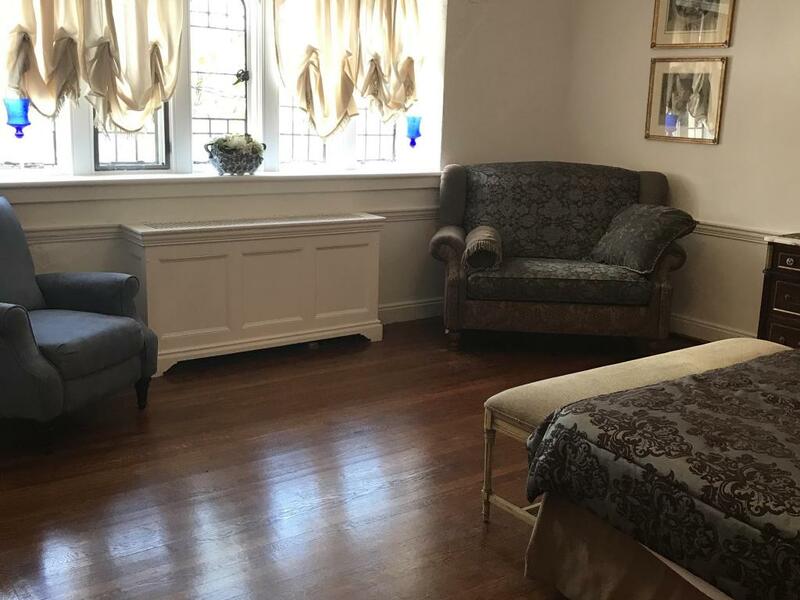 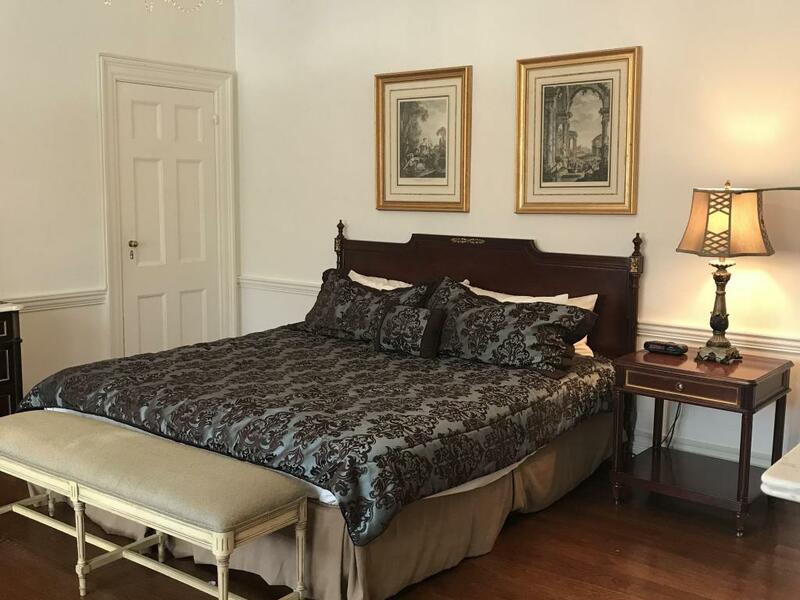 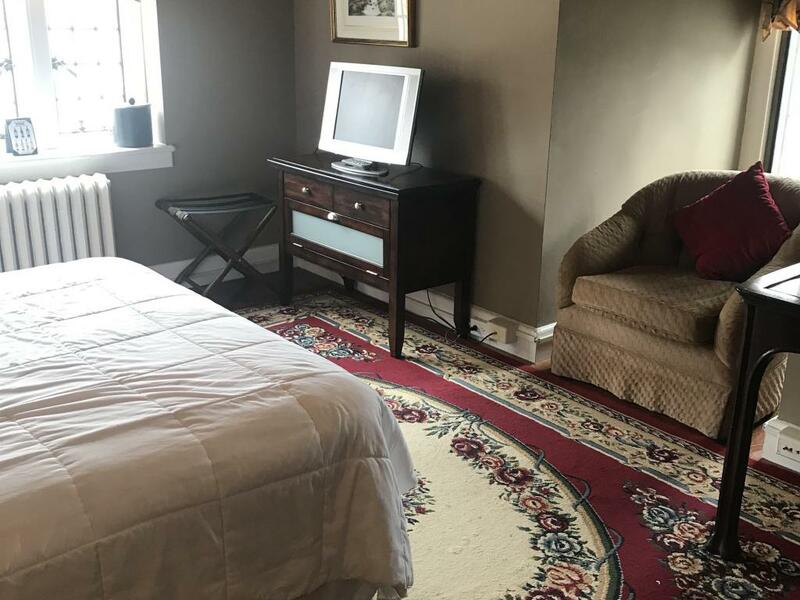 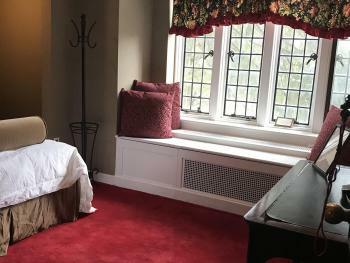 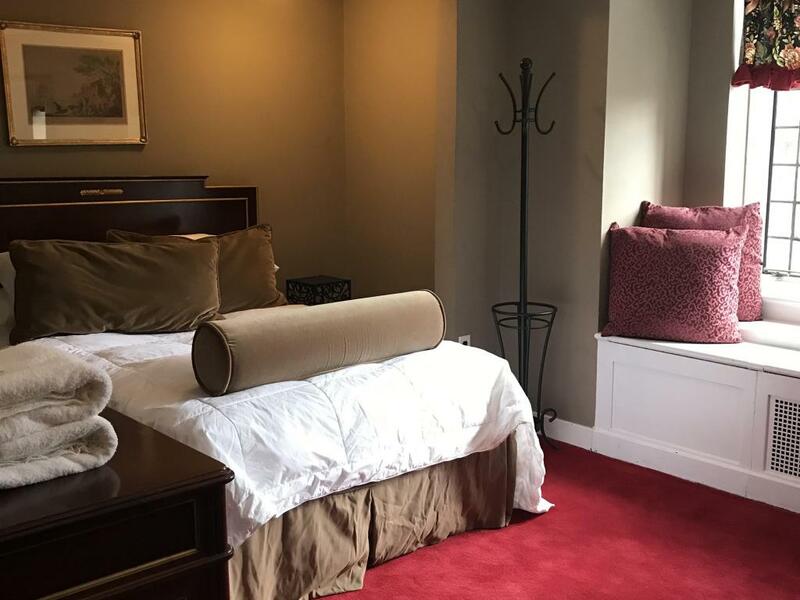 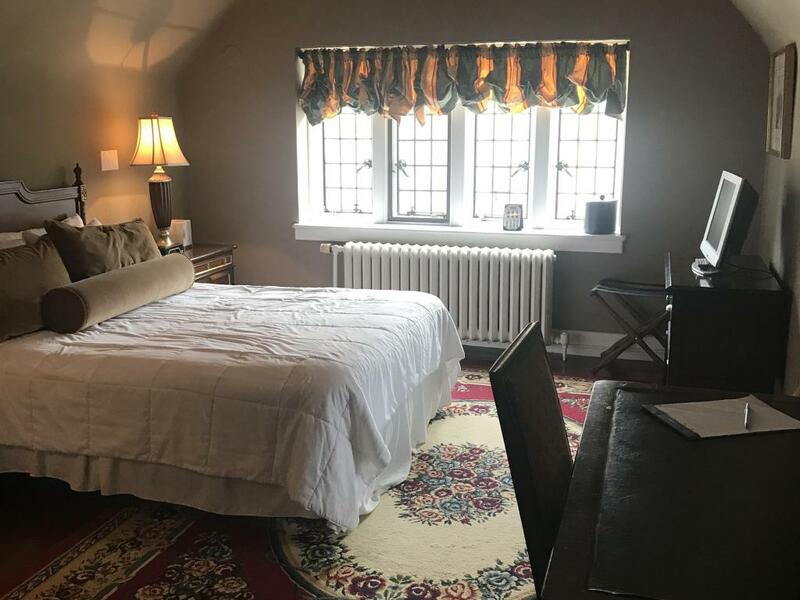 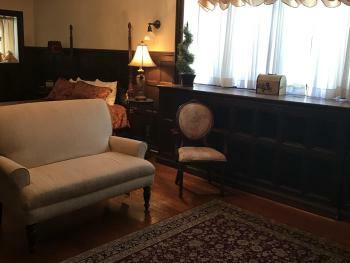 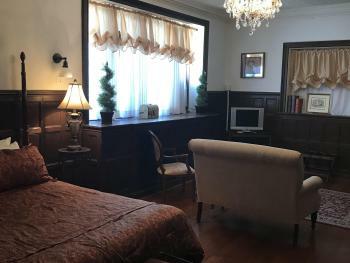 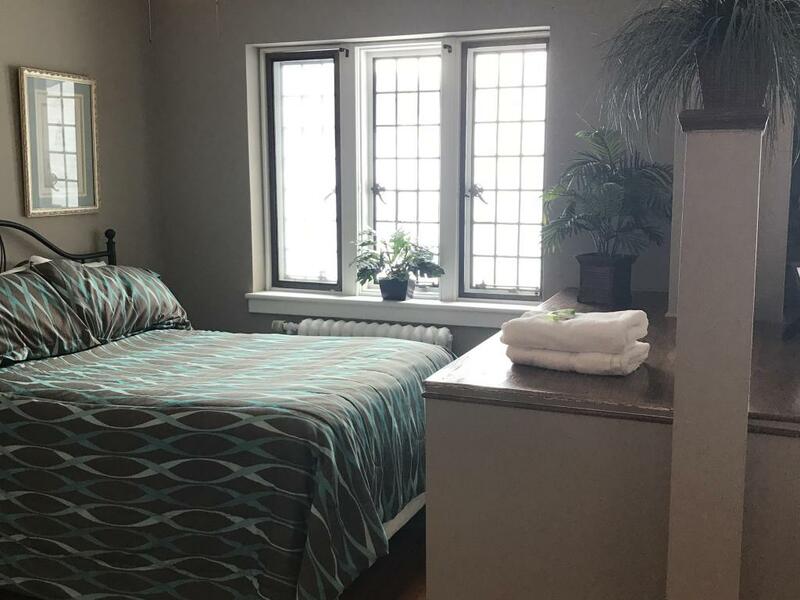 Includes a queen size bed with semi-private bath (with either an adjoining bathroom between two rooms or a bathroom in the hall shared by two rooms). 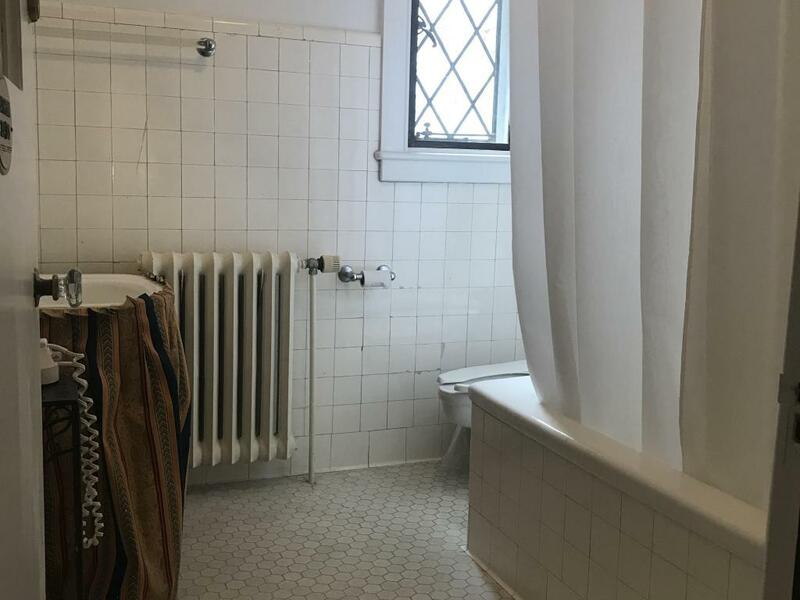 You can lock the bathroom door for privacy. 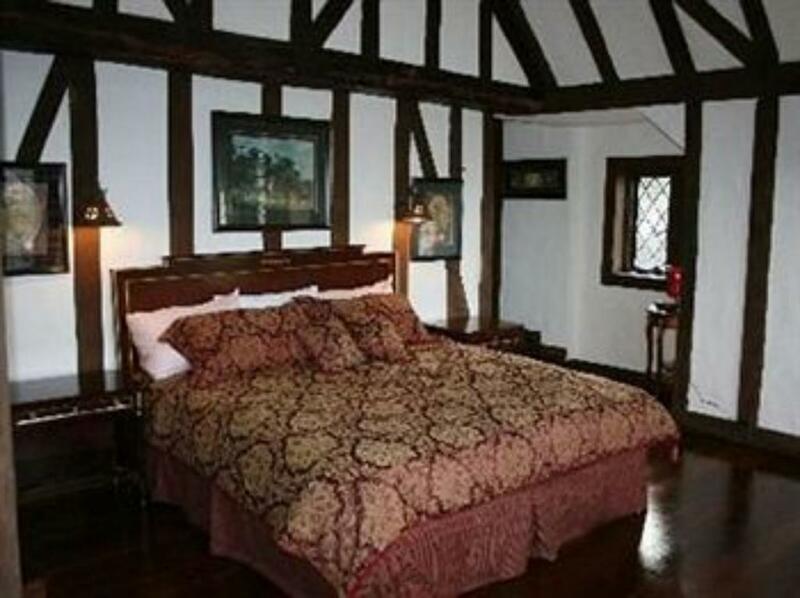 Includes a king size bed with a private bath. 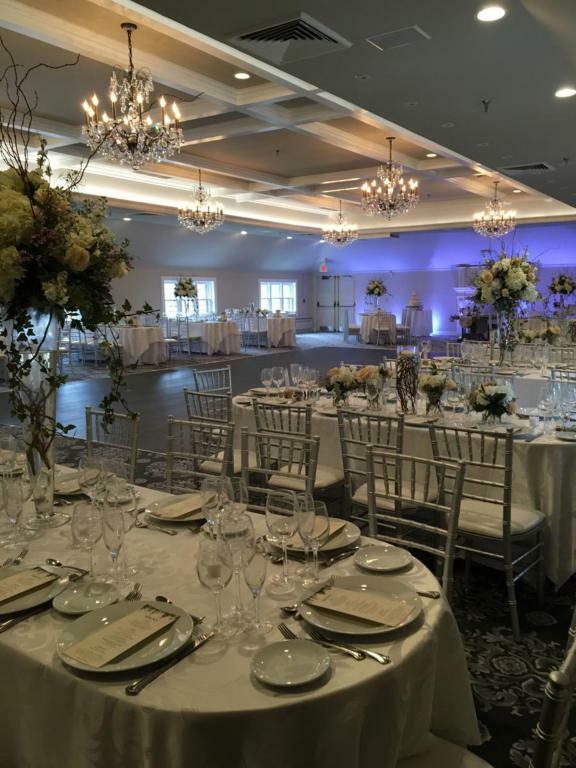 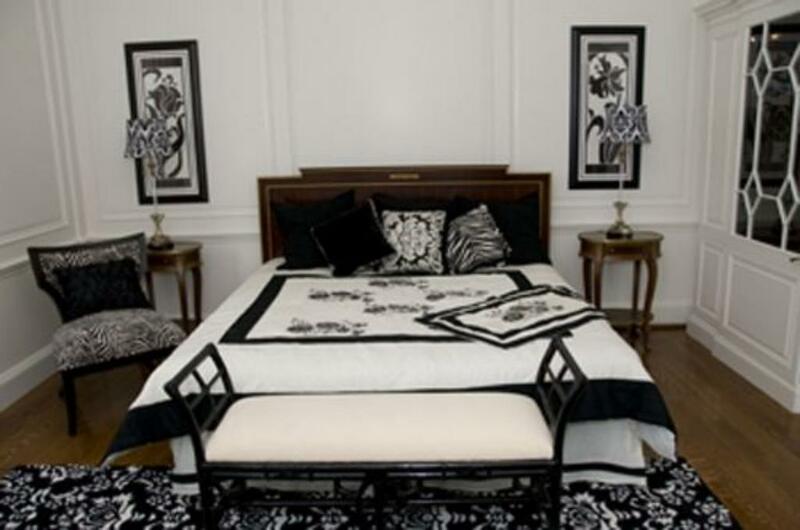 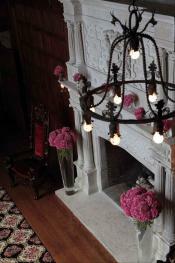 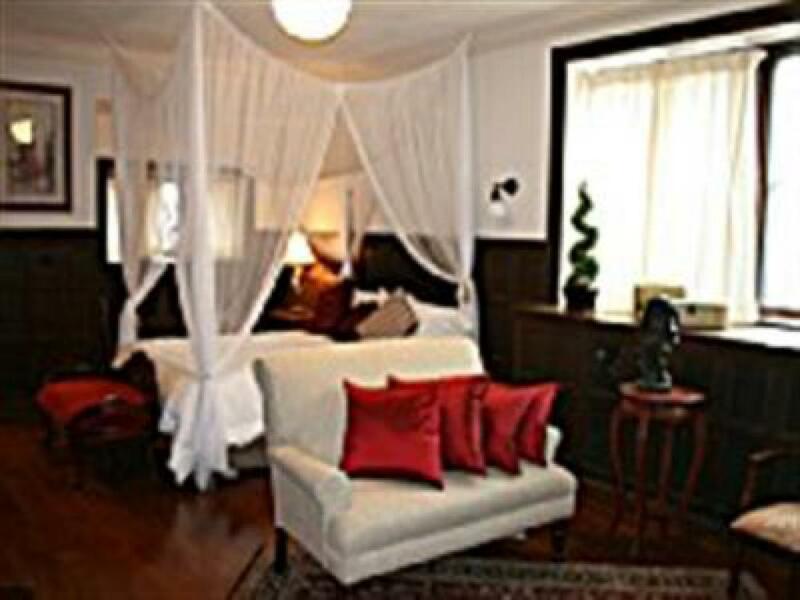 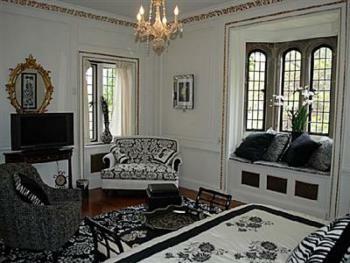 Our Gatsby rooms are sure to please. 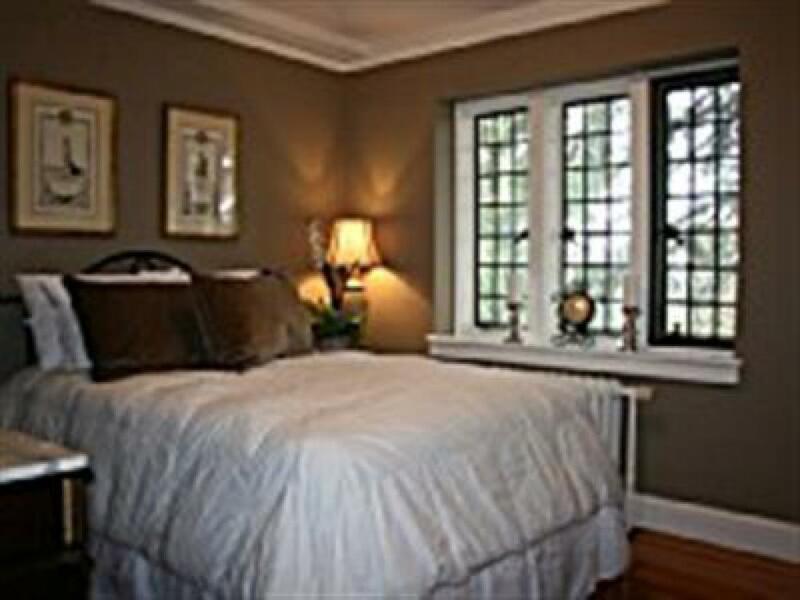 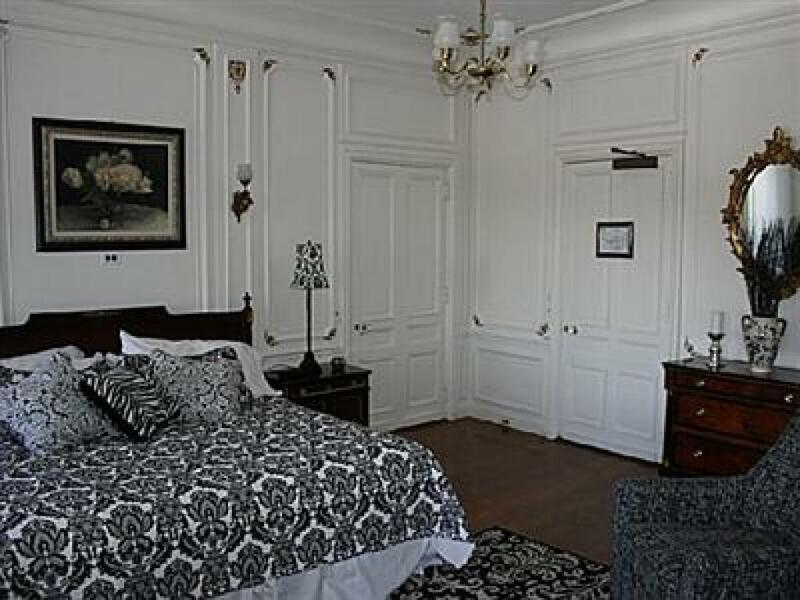 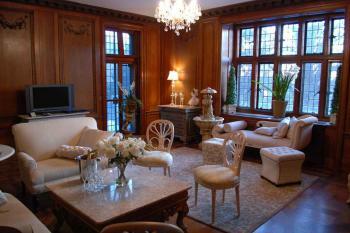 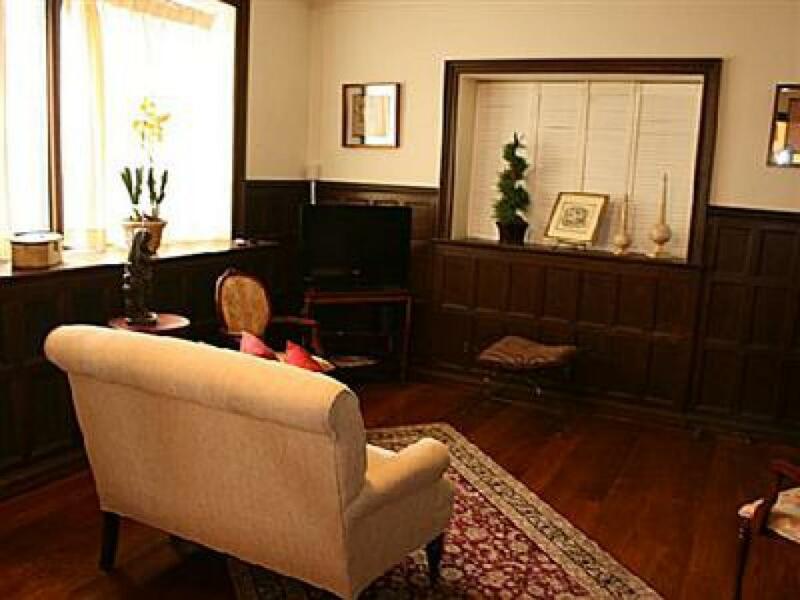 Spacious rooms with amenities of built-in armoires, hand-carved wood paneling, and gold leaf moldings. 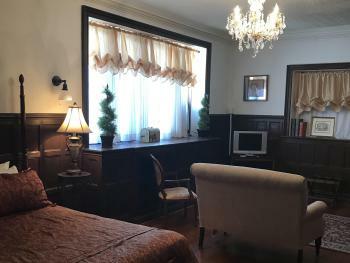 Includes a Queen size bed with a semi private bath outside of your room. 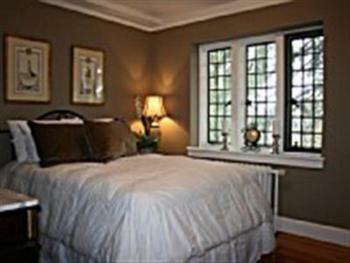 Bathroom is shared with one other private room which can be locked for privacy. The grandeur of this distinctive accommodation awaits you. Includes a King size bed with a private bath. 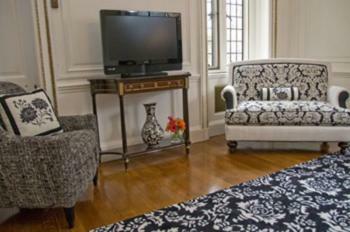 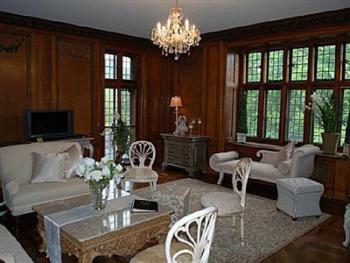 It also has a large living room, with plush couches and seating for eight in this spacious suite. Includes a Queen size bed with a private bath. It also includes a private study and is located on the ground level, a floor-to-ceiling built-in armoire warms this spacious suite. 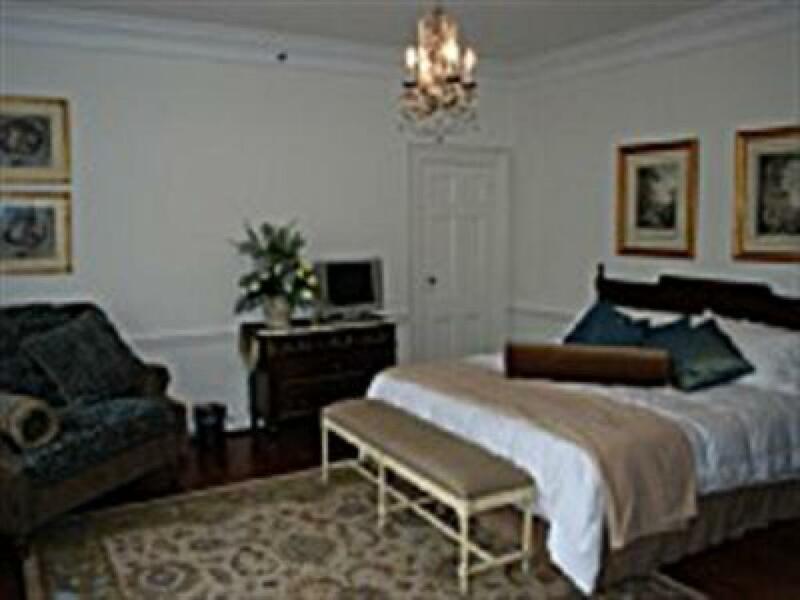 Includes an exclusive sleeping area with a king size bed and a private bath featuring marble finished walls. 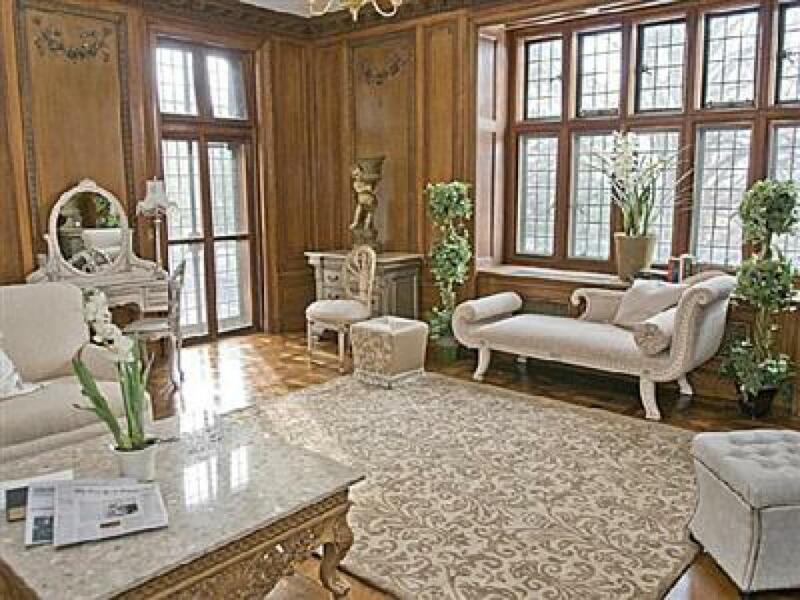 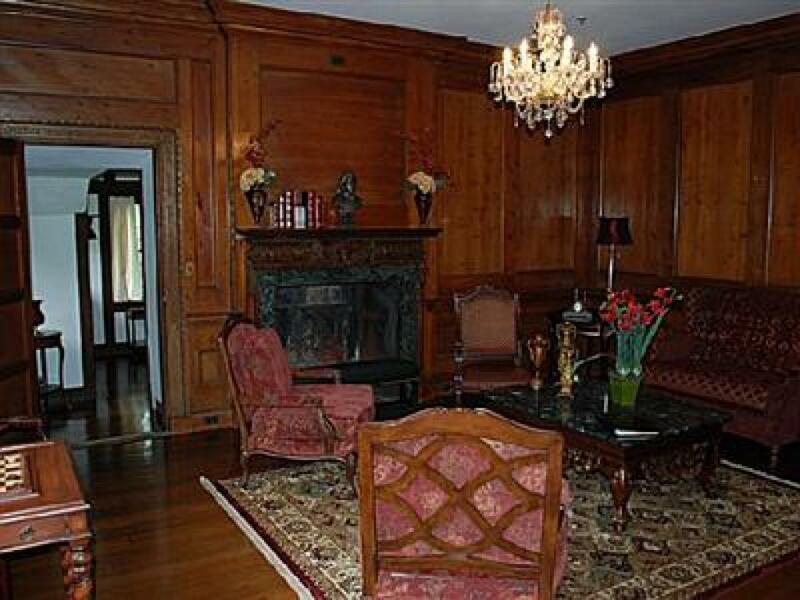 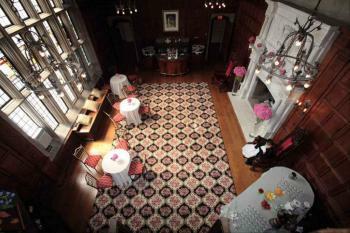 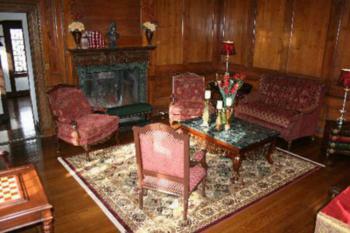 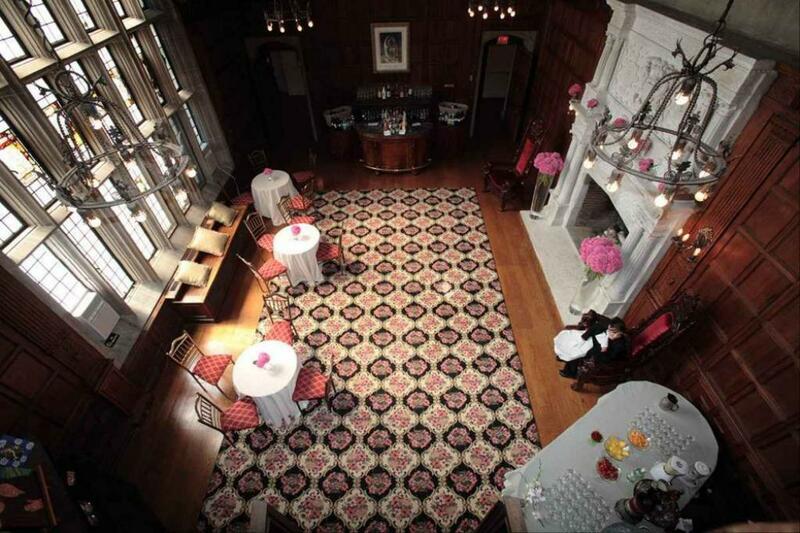 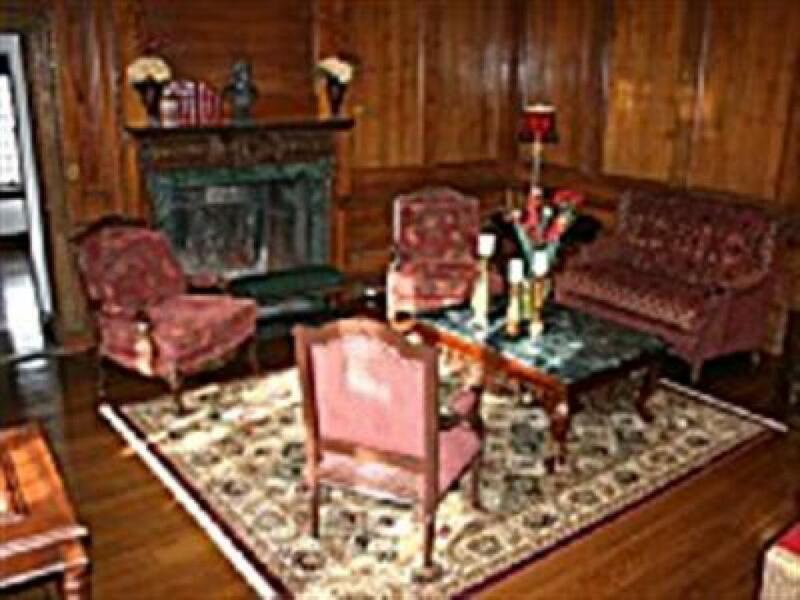 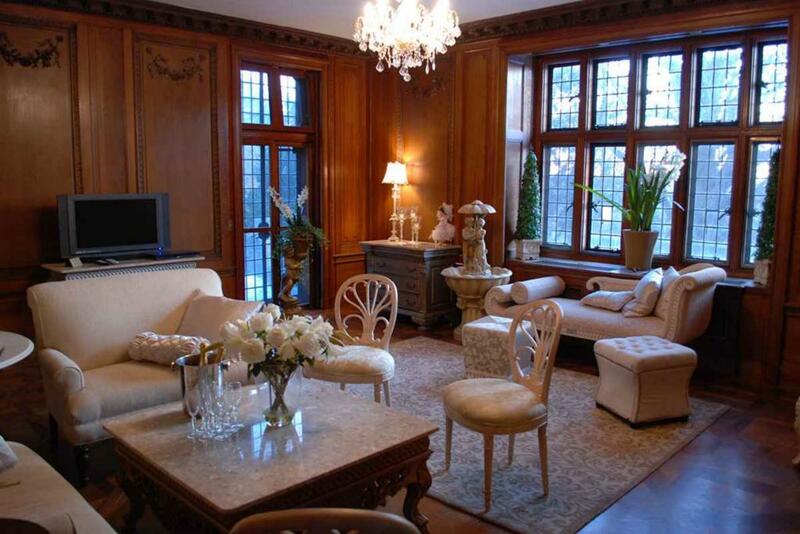 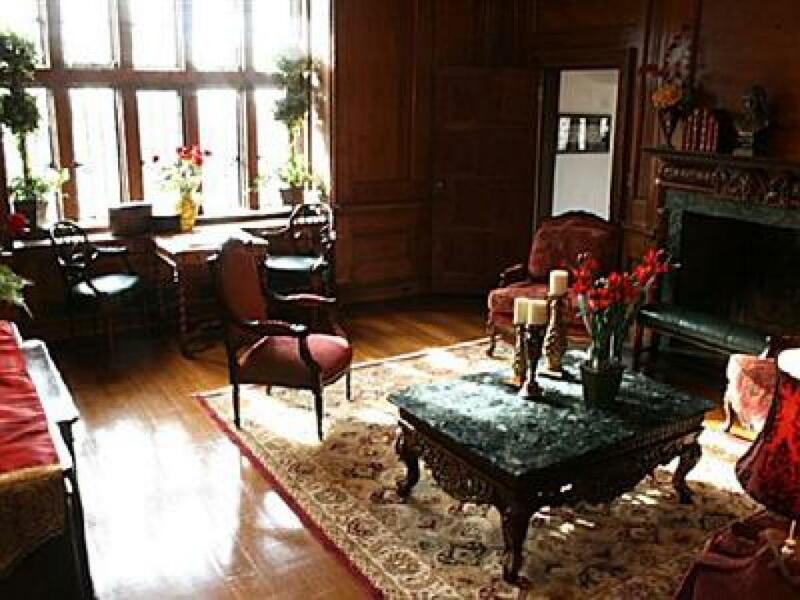 It also has a separate, large living room with hand carved wood paneling, and seating for 6. 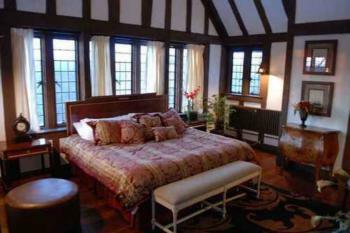 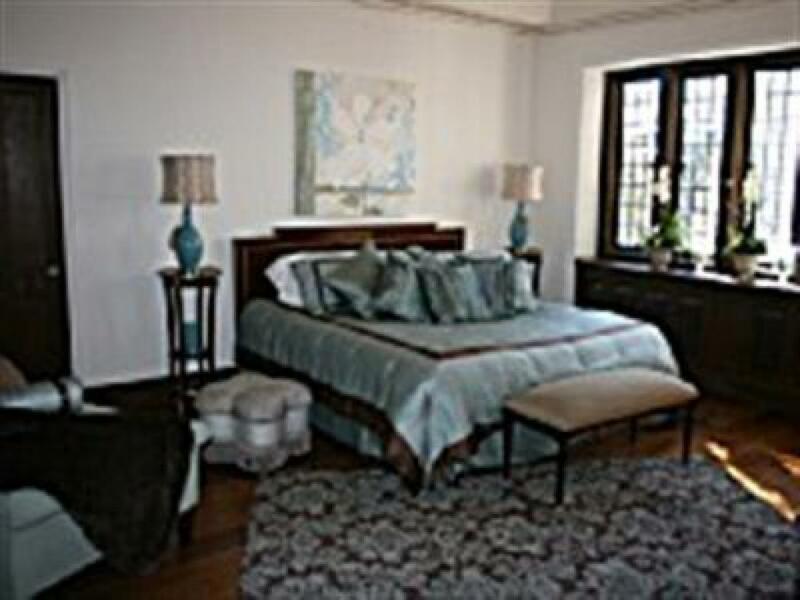 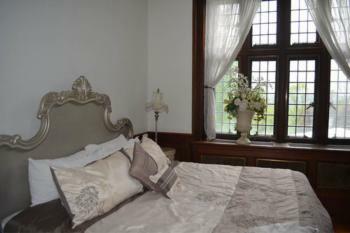 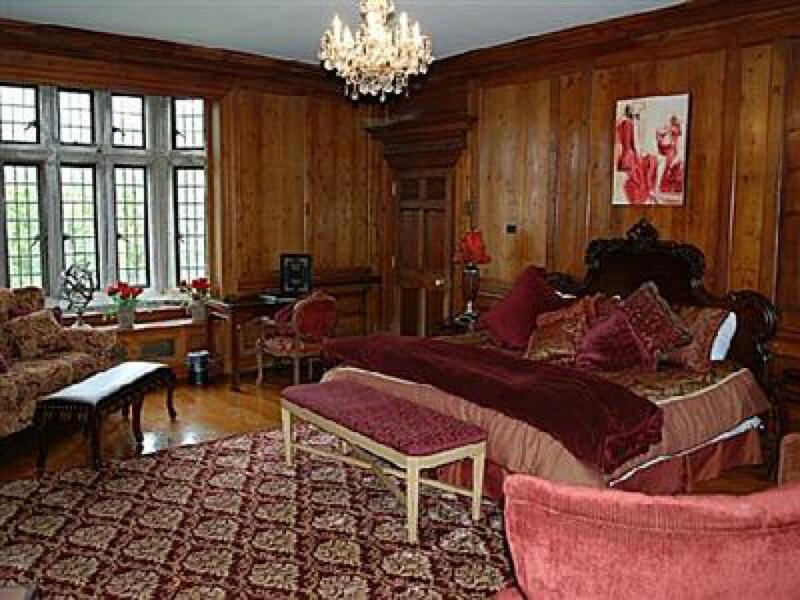 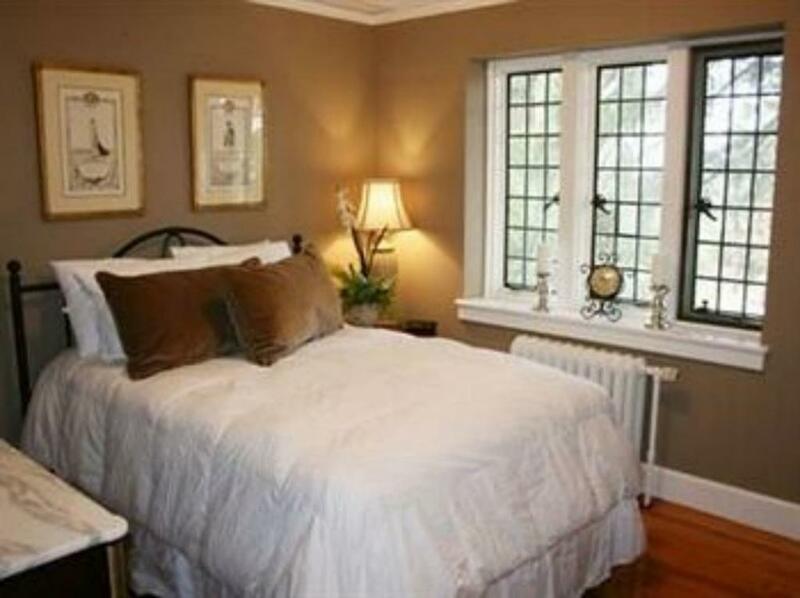 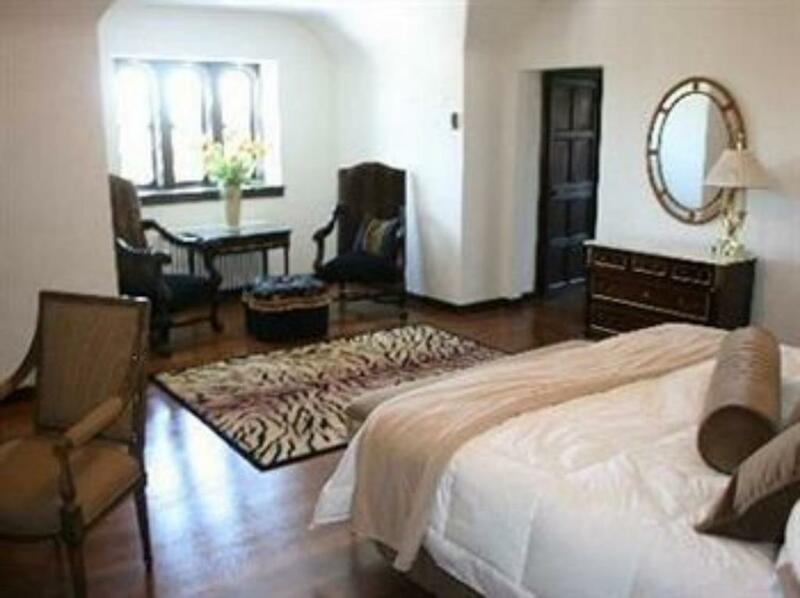 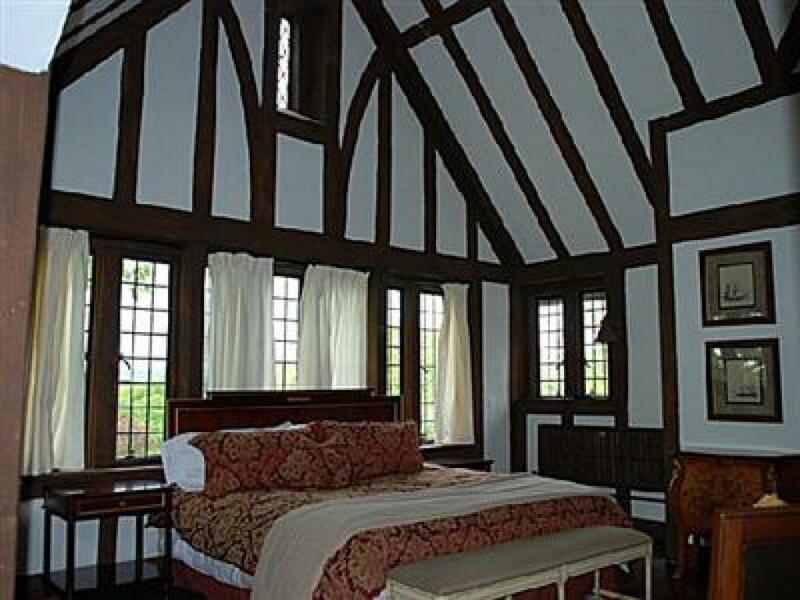 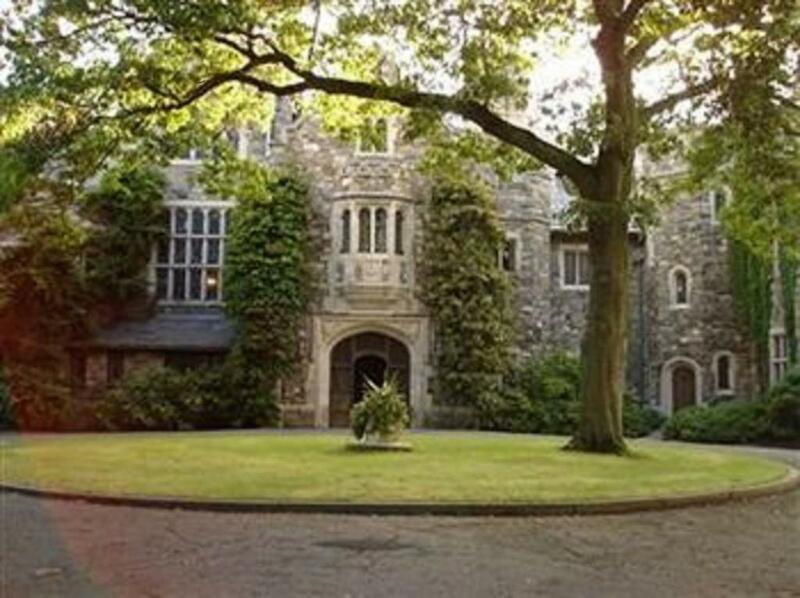 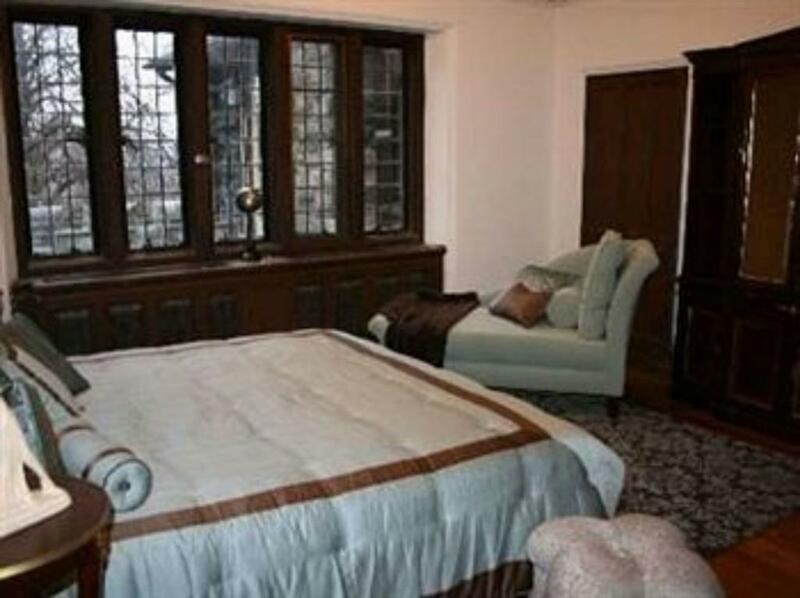 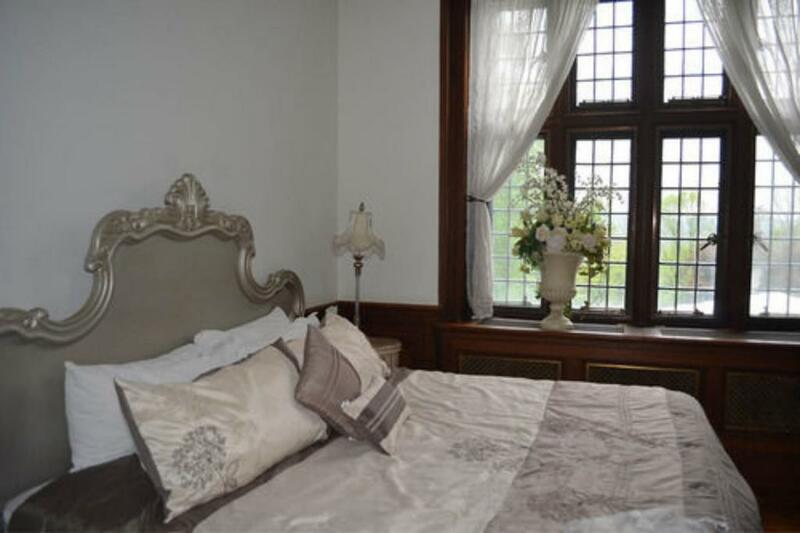 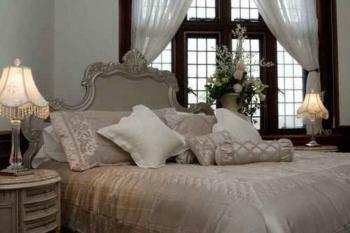 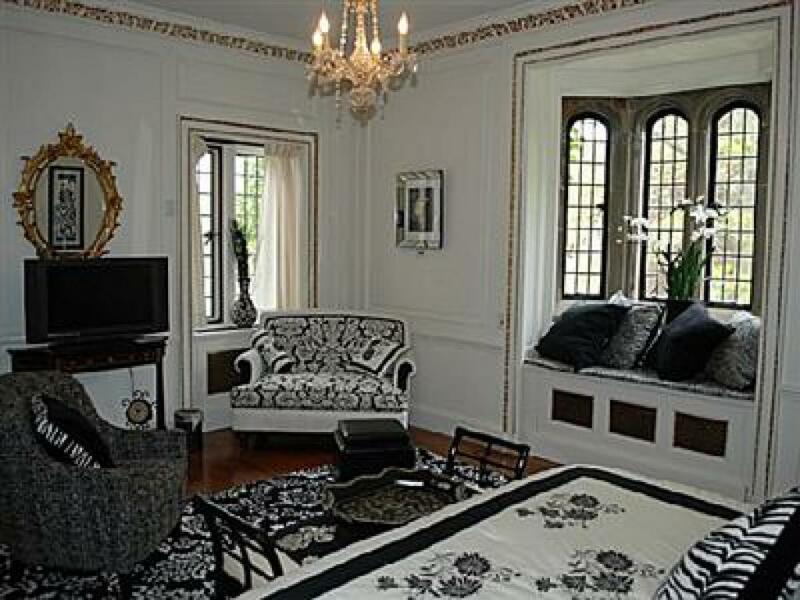 Includes a full size bed in a private area of the north wing of the manor. Semi-private ladies' and mens' bathrooms are across the hall and can be locked for privacy. 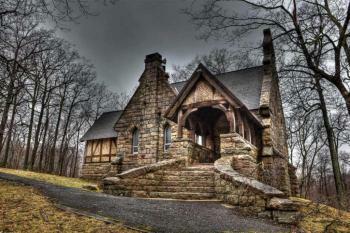 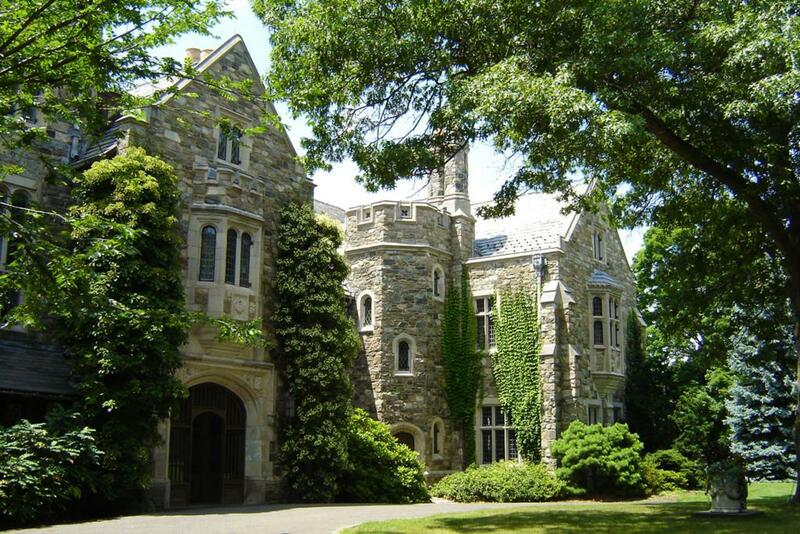 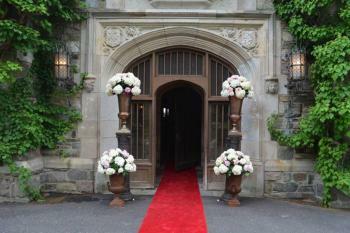 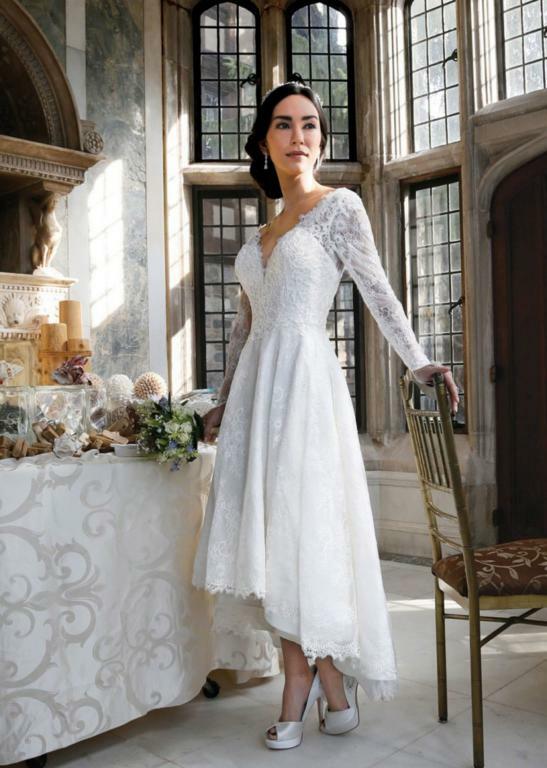 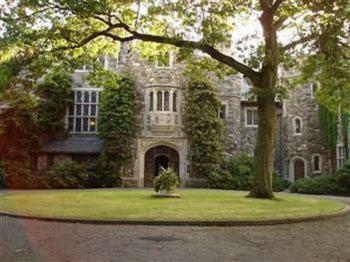 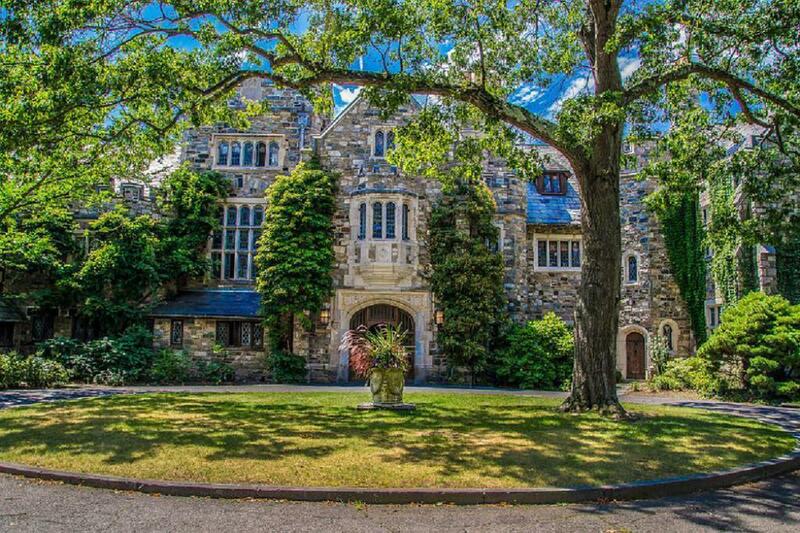 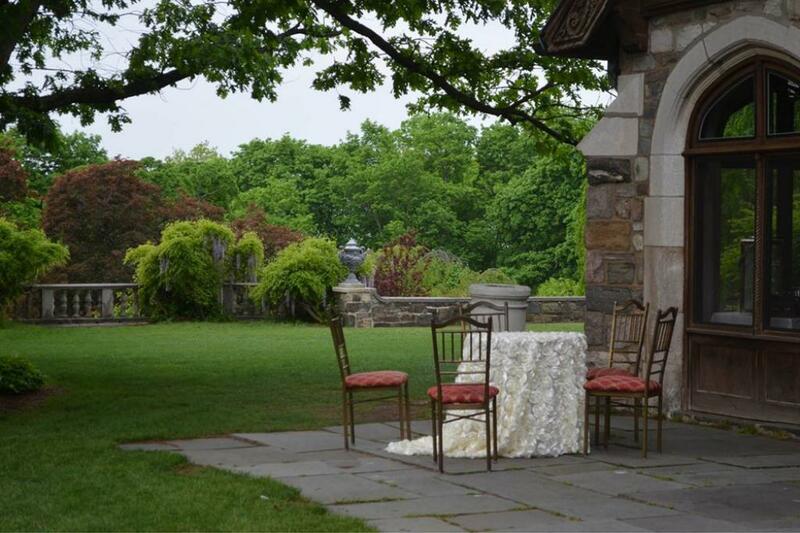 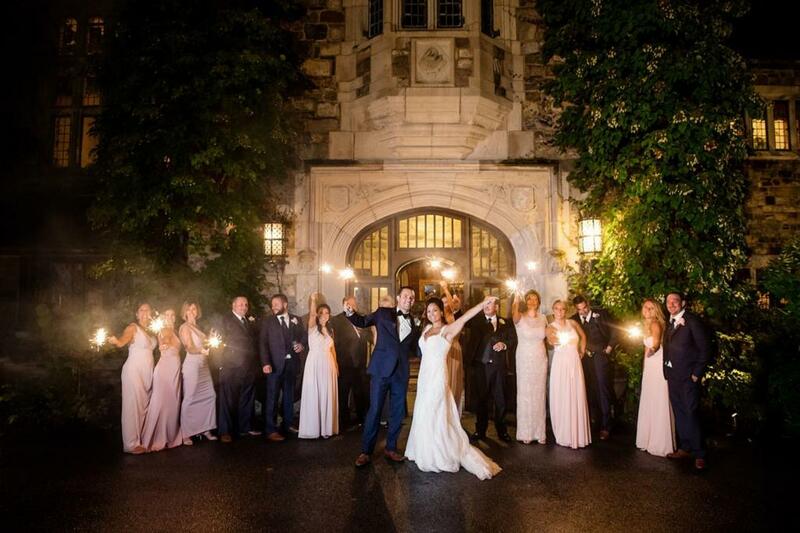 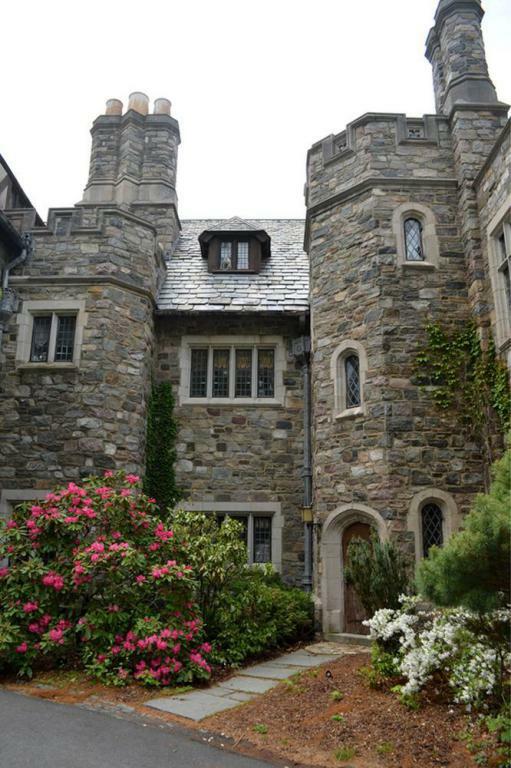 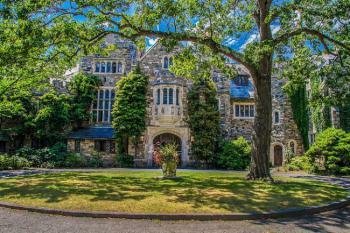 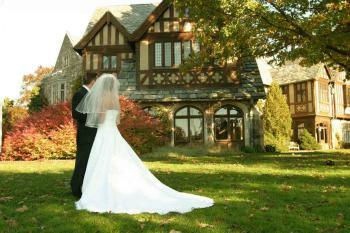 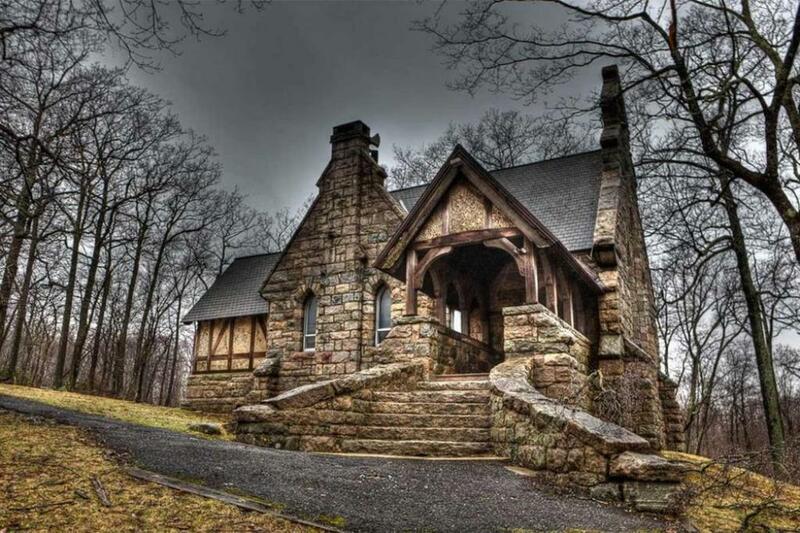 The Castle at Skylands Manor was designed in the mid 1920's by the distinguished American Architect John Russell Pope, whose works include the National Archives and the National Gallery of Art, the Tudor Revival Mansion was intentionally made to appear centuries old. 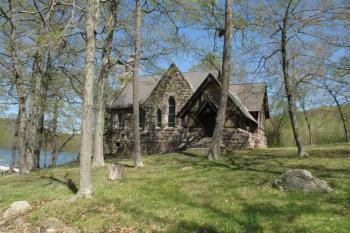 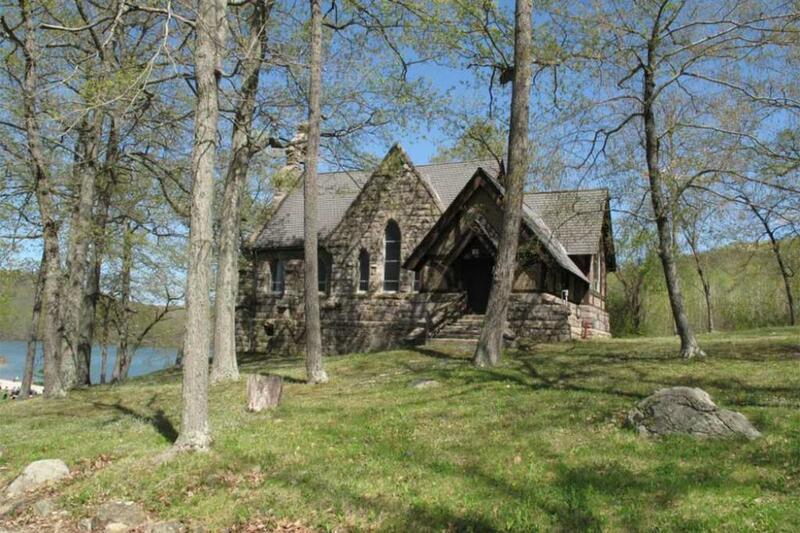 Note the building's weathered stone facade, and the sags and ripples in the slate roof. 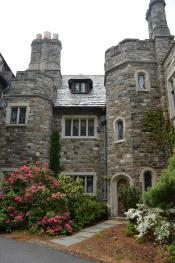 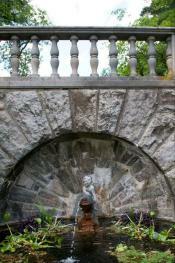 All stone was quarried on the estate. 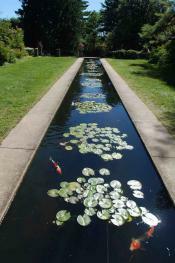 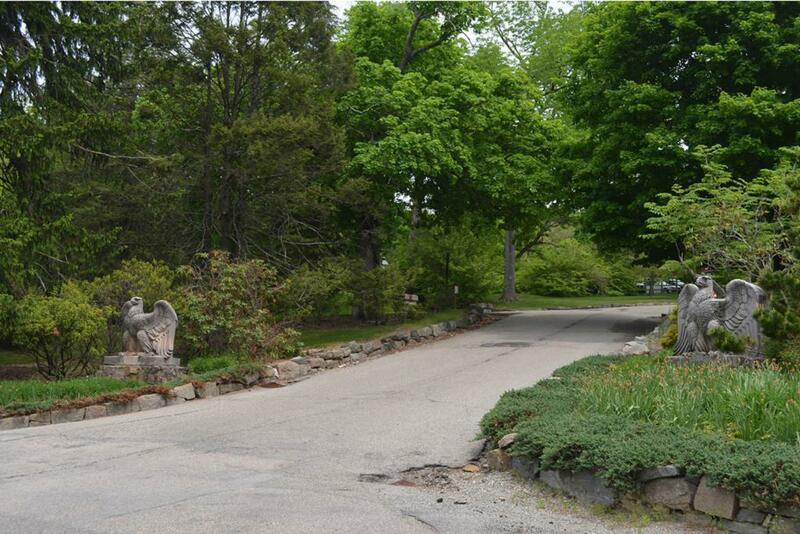 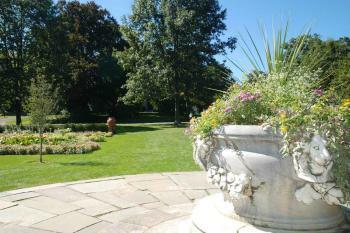 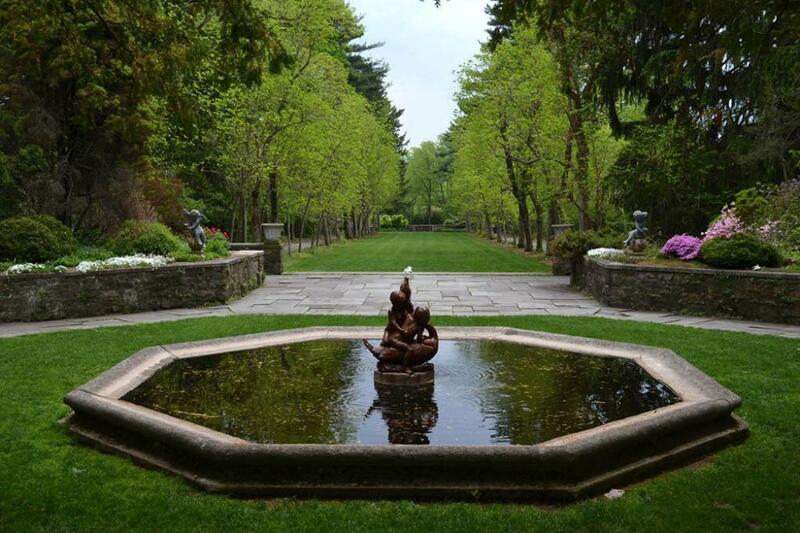 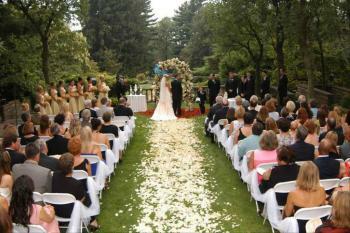 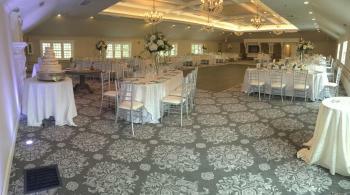 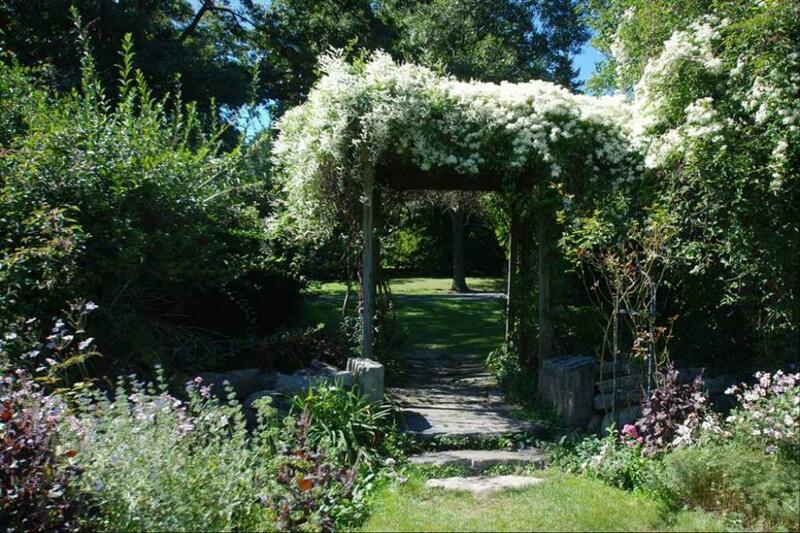 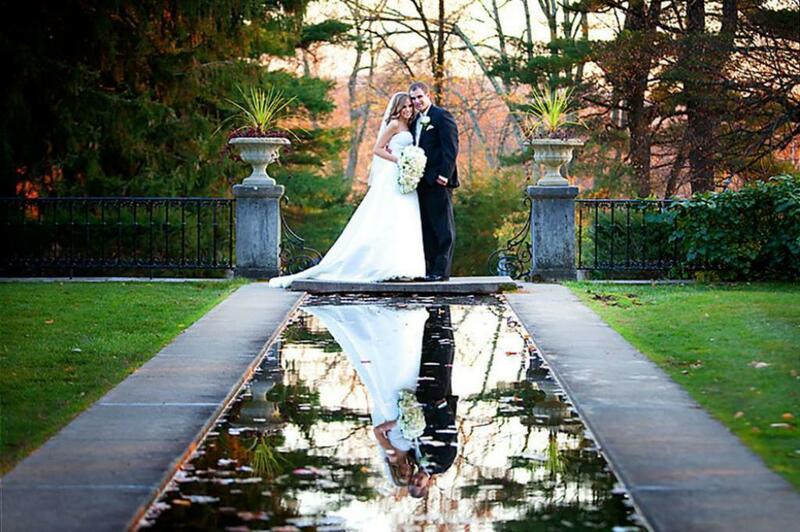 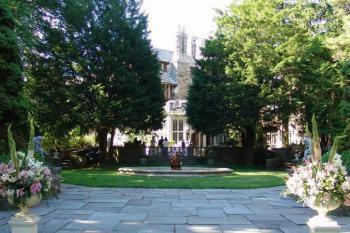 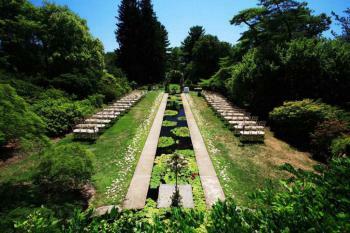 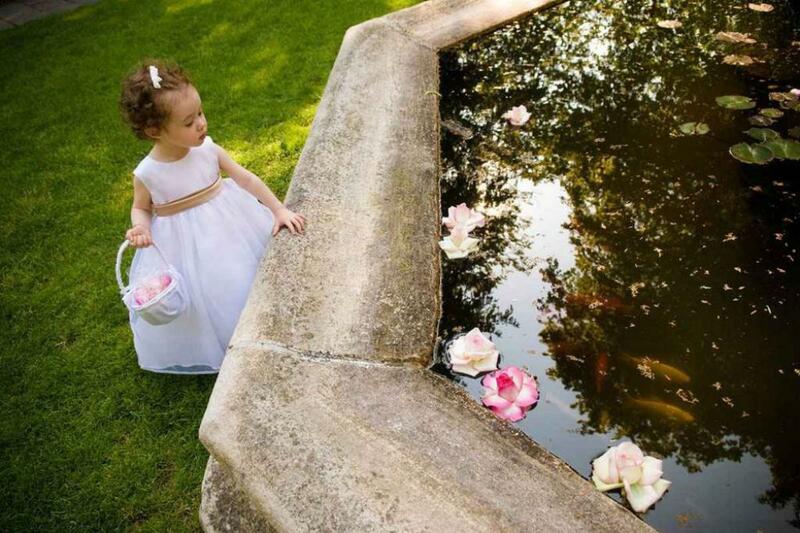 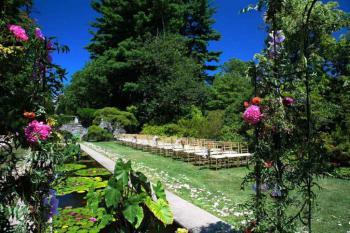 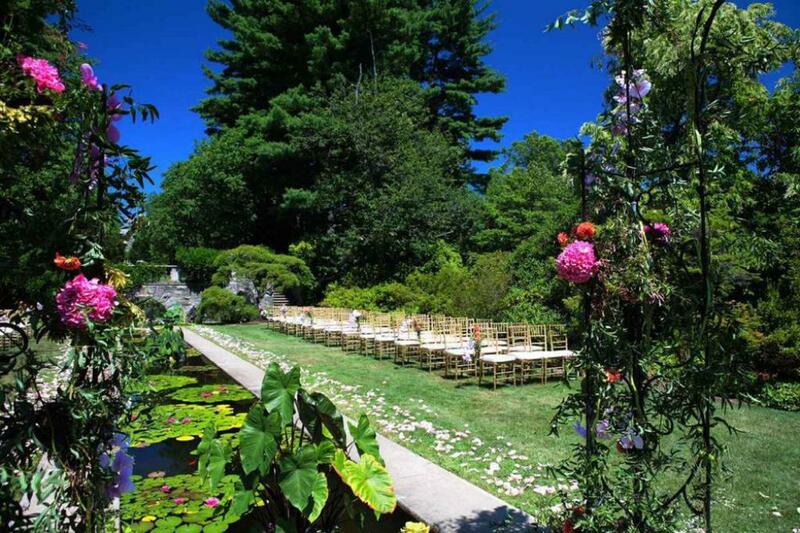 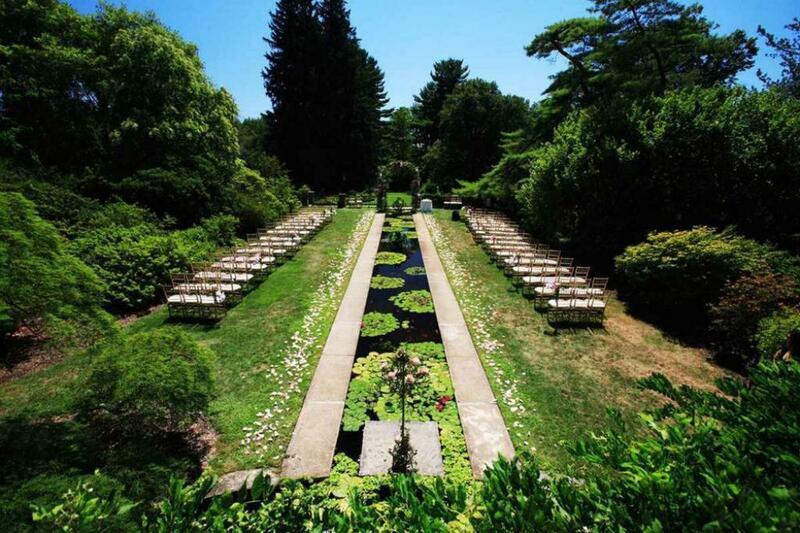 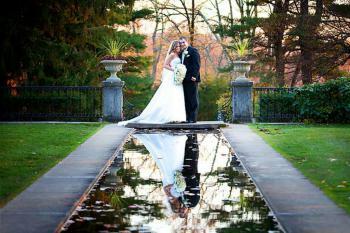 The property is located in the New Jersey Botanical Gardens. 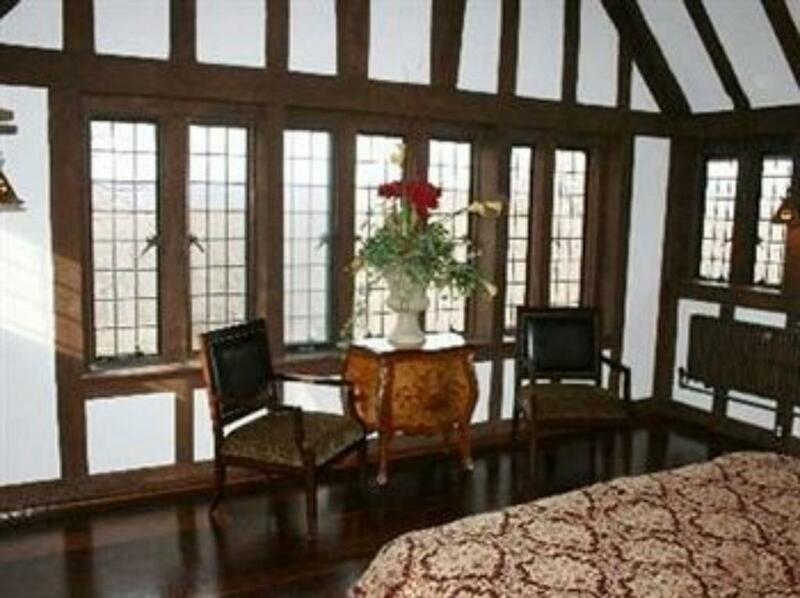 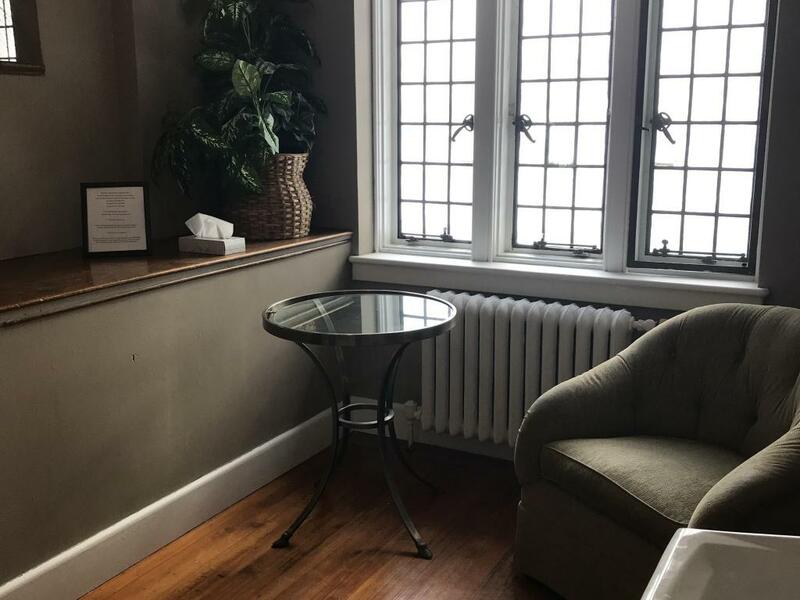 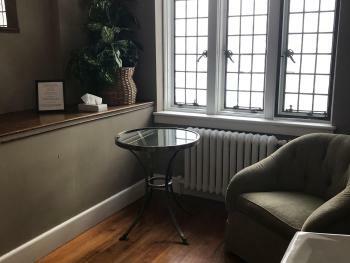 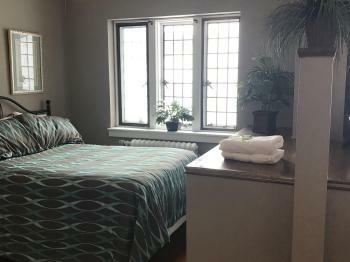 The Knight Suite is our handicap accessible room located on the first floor. 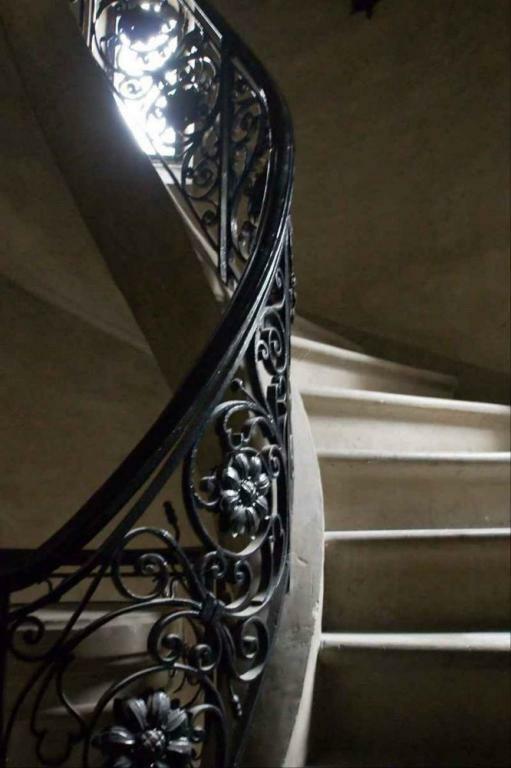 We do not have an elevator in the Manor.